From starting CGF and other platforms, balancing work as a wife and mother, money advice & tips, future plans and her favourite holiday destinations, this is such an inspiring read. Clever Girl Finance has such a catchy name to it. What other names did you consider for your business and how did you come up with this one? I didn’t really consider any other names to be honest. Took me a while to figure out what I wanted to call my business and one day it just came to me while I was thinking of words to describe the type of woman I wanted to be able to reach with my brand. 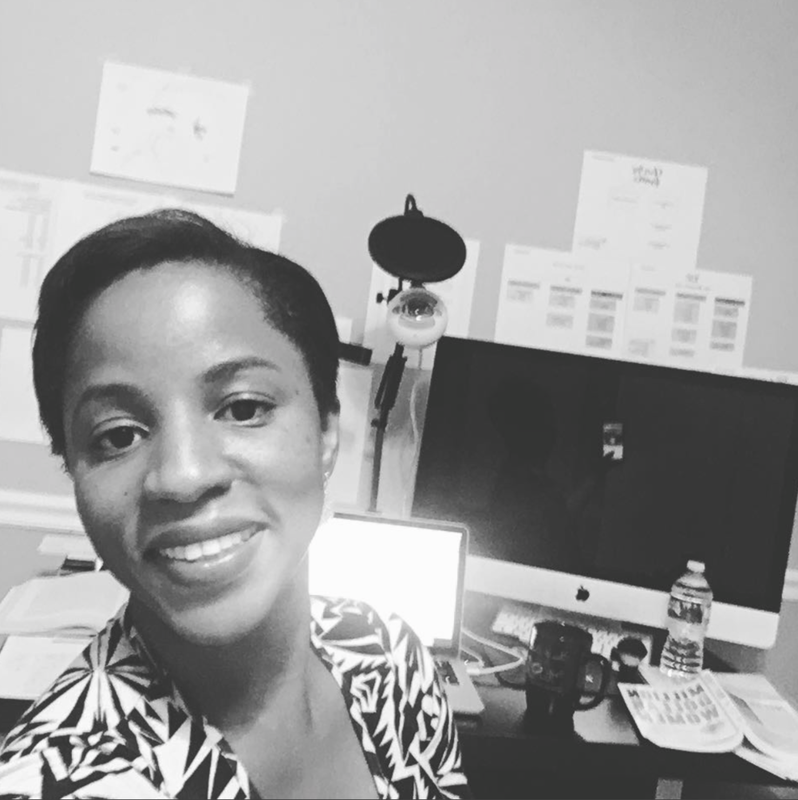 How long had you worked a 9-5 before you decided to quit and go full time with CGF? What did your 9-5 entail? I worked in technology for 11 years before I started Clever Girl Finance - so nothing to do with personal finance at all. I quit a year after I started Clever Girl Finance to become a full time business owner. The unofficial first CGF meeting. A money discussion with her friends. What top three considerations should one make before making this switch from employee to business owner? 1. Have solid savings in place to support your basic living expenses for at least 6 months especially if your business is at the early stages and your business income is inconsistent. 2. Have a solid plan in place on how you will generate income in your business and test out the model to make sure it works. 3. Don’t be ashamed to keep a part time job if necessary to sustain you if you aren’t able to generate the income you’d like in the time you’d like. In two years, I must say your success has been phenomenal and you seem to have reached a lot of people through social media. What social media platforms work best for you and three social media tips for small businesses? 1. Do some research on how the social media platform you choose to use works. 2. Post frequently and according to how the algorithms work because pretty much all social media is algorithm based. 3. Don’t overwhelm yourself trying to manage too many social media platforms, choose one or two and focus on growing those first. Seems like yesterday, You recently launched the CGF podcast and we're already on episode 45! Coupled with the blog, that's a lot of content! How do you constantly find inspiration and stay dedicated to do it all? Personal finance / building wealth are some of my favorite topics and so it’s not hard for me to get inspired because I’m passionate about this topic. Unlike a constant salary, many businesses often have peaks and troughs. Are there times that you're not generating sufficient income? What do you do in that time? I have a business savings account solely for this purpose. It’s critical for every business owner to have this in place. Saving a little bit of your earnings every month can make all the difference. A great book that illustrates this is called Profit First. It's probably not always smooth sailing as a business owner. What challenges do you face? How do you overcome them? I’d saying growing a baby business in itself is very challenging because it's pretty much all me and I’m entirely responsible for my business unlike when I was an employee working for someone else. If I don’t work my business doesn’t work. Finding the right people to work with is also a challenge but it also comes with a lot of learning - how to be a better judge of character, how to be a better interviewer, how to be a better leader. Are you a one man team or have you got assistants? Because you do such an amazing job! I definitely don’t do this alone and currently have a team of 3. I know I've previously seen men comment, interact on your page and ask for financial advice. Would you ever consider expanding to include them? No. Nothing against them but my focus is on women. Hence the name of my business. There are however a number of men in the tribe by association - their wives, girlfriends, friends, sisters etc have brought them into the fold. What has been your greatest achievement since starting CGF? I live through my biggest achievement everyday and it’s being able to help women change and improve their relationship with their money. When I get the success emails or messages on social media it reminds me why what I do is worth it. You started CGF when your twins were only 13 months old! Many feel that being a new mum inhibits you. In what specific ways did and have you managed to balance both? It’s definitely not balance. I don’t really think it’s possible to balance two really demanding things. For me it's making the conscious choice to pick one over the other. And so I do that by setting boundaries around my work and try not to let them overlap into time I spend with my family - I always put my kids first and I have plenty of help too which is a life saver. Being married, how do you organise your finances? We have both seperate and joint accounts and manage our finances together. We are working towards the same long term goals for ourselves and for our children. Money matters break many relationships. What 3 pieces of money advice would you give younger couples or people dating and in a serious relationship? Set financial goals together and create time to review your goals and the actions you are both taking towards achieving your goals. Communicate often - communication is key and helps to avoid financial infidelity - it’s important to lay all your cards on the table especially when you are getting into a serious relationship. This way you both know what you need to work on in order to achieve your financial goals. Budget together - budgeting is key to actually accomplishing your goals and telling your money where to go and doing it together is great idea! In addition it’s also important to pick a system that works for you. There are lots of standards out in the world on how money should be managed in a relationship but none of them are one size fits all. In what practical ways do you instil money values and ethos in your kids. My kids are still quite small and so right now I’m teaching them what things “cost” so they start to get a sense of value. They are also learning what it is to save in a piggy bank - which is a lot of fun to watch each time they get some money handed to them. Do you believe in leaving substantial wealth for your kids or you'd rather they find their own way in life? I’m personally an advocate of creating generational wealth to pass on to my children. But it’s also critical to teach them financial responsibility so they can do the same for their own children. What 3 apps and tools help you keep your money in check? A couple other apps I think are great are Penny and Mint. What 5 money / finance books should every woman own or go off to buy right now! To what extent do you believe in the notion that you have to spend money to make money? I do believe that. The most basic example being if you save / invest your money it will ultimately earn you more money over time. You have to invest to earn basically (and that includes investing in yourself). However a lot of people take spending money to make money out of context though. You recently launched Clever Girls Know - a lifestyle website. What's the aim of that and why did you decide to expand your niche? 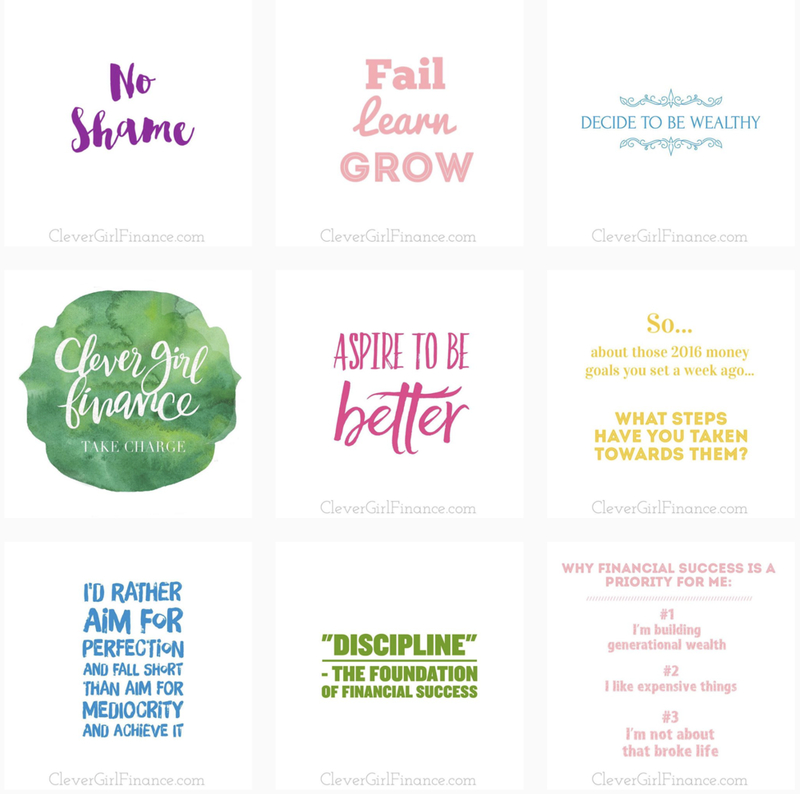 Clever Girls Know is really an extension of Clever Girl Finance and touches on all the other aspects that impact the lives of women that are in one way or another related to their financial wellness. I started it because, the conversation about money extends past just dollars and cents. What one thing keeps you motivated when things don't go as planned? The big picture of what I want to accomplish with my life and with my business. When things don’t go as planned I just remind myself that they are stumbling blocks on the path to success. What's your all-time favourite non-money book? There are quite a few but I’d say Ake by Wole Soyinka off the top of my head. Top three favourite holiday destinations? If you weren't doing this, what could you have been doing career wise? I’d be back working in technology - it’s my next favorite thing. I’m a tech girl. You've been featured on various platforms for your outstanding success. What are your business goals for the next 5 years. What one thing would you love to have achieved by then? 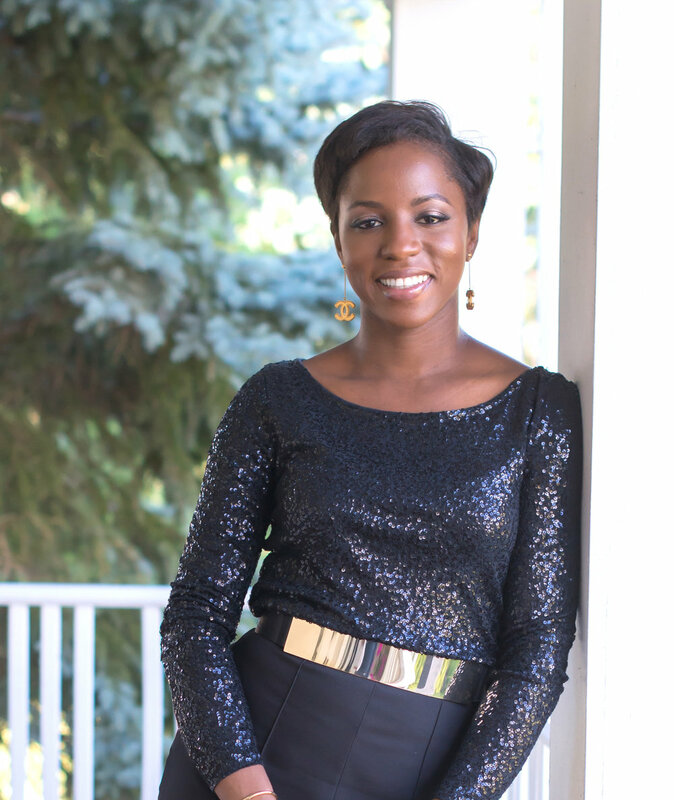 My main goal is to increase brand awareness and the number of women that Clever Girl Finance is able to reach and have a positive impact on when it comes to improving their financial wellness and achieving financial success. If you had the chance to have coffee with one woman, who would that be and what would you ask her? I’d love to have coffee with Sara Blakely. I’d probably ask what the best advice she ever got was, how it changed her life and also what advice she’d give someone like me. When you're not creating content or providing financial advice, what are we likely to catch you doing? Final word for younger ladies who look up to you? Hard work pays off. Determine what you really want out of your life, stay focused, commit to your goals, put in the work and in time your dreams will start to become your reality. You just have to be patient with yourself. It’s a slow progress, not overnight success. How amazing was this interview (if I do say so myself!). I'd literally been unmotivated in respect of a few goals I'd set for myself and reading her response to that last question just set a bit of a fire in me again. She's obviously proof of the fact that hard work pays off. I'd never have believed CGF was just two! Check out CleverGirlFinance.com & CleverGirlsKnow.com; follow her on Instagram @CleverGirlFinance. You wouldn't regret it. Finally I'm so not surprised that she's a tech girl at heart. She pulls all of this tech stuff with ease. And on a lighter note, she makes me want to cut my hair like hers! Let me know your thoughts on this interview, and please don't forget to share - buttons below. pS: Amazing the range of people we've had on this column. So proud. From an Illustrator, to a Saxophonist, Chef, and Tour Guide. Check out the entire We Interview column here. The Designer Luxury Handbag: To Buy or Not to Buy?